HTC have become one of the largest smartphone manufacturers, coming up to speed with the Apple iPhone aswell as RIM’s BlackBerry arsenal. Not surprisingly enough, HTC are surrounded by rumors consisting of releases dates, specs, and tentative names for its upcoming devices. The HTC roadmap was also revealed at the end of 2009, which revealed a number of new devices to chomp over. Some of which have become a reality, some have not. 5 more smartphone rumors will be covered in our next article. So keep checking back here for part two that includes the HTC Vision/HTC Desire Z, HTC Gold, HTC Sabor and the HTC LED. UPDATE: – This article is now available by clicking here. HTC Desire HD – Formally known as the HTC Ace, the HTC Desire HD was first revealed in July and is currently set for an October release, so they say. 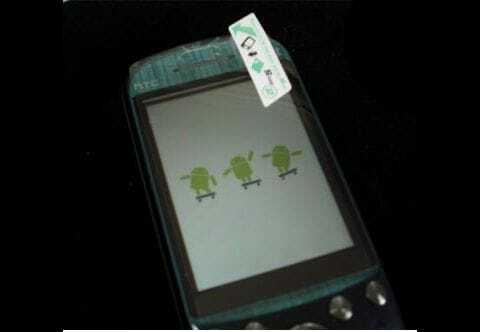 Although specs are still just rumors, the Desire HD is said to feature a 4.3-inch screen, an 8 mega-pixel camera, a 1GHz processor and Android 2.2, although reports suggested that it may run Android 3.0. HTC Glacier – Although not much is known about this phone, the Glacier does sound quite ‘shiny.’ Rumored specs suggest that the Glacier would have at least a 1.5GHz processor, due to a leaked T-Mobile internal benchmarking document showing the device performing three-times fast than the 1Ghz HTC Evo 4G. Others suggest that the Glacier would run on a dual core processor, but the former seems more likely as Qualcomm are currently working on a 1.5GHz processor right now, due for release at the end of the year. HTC Fiesta – Fiesta is still one of the phones amongst the oldest of the rumors. We have known about the existence of this phone since April 2009 when the details were filed to the Bluetooth Special Interest Group. However, details are still scarce but an image that is thought to be the device is shown below. 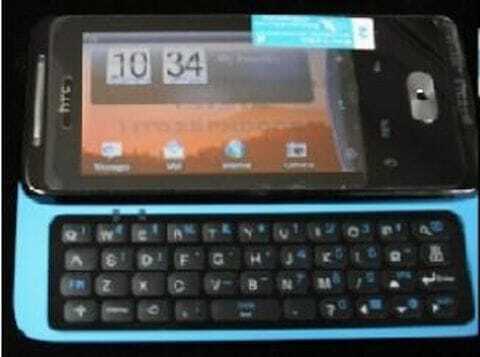 HTC Paradise – First appearing in an Android ROM document from December last year, and mysteriously going up for sale on Craigslist earlier this month alongside the Fiesta, this device is said to feature a sliding Qwerty keyboard, run on Android 2.1 or higher, with a 5-megapixel camera. HTC Schubert – HTC’s first Windows Phone 7 device, or apparently so. Not much is known yet about the device, but you can check out a video of the phone here. The Schubert device will have a 1GHz processor, 5-megapixel camera with flash and an aluminium unibody.